Today I watched Michael Boltons webinar "Things Could Get Worse". As always Michael is full of great quotes and naturally I tweeted some of them. "Think of regression testing as an airbag, not as a substitue for good driving"
"Think of Test Type X as an airbag not as a substitue for good driving"
But something kept nagging me and I couldn't stop thinking about it and feeling it couldn't. 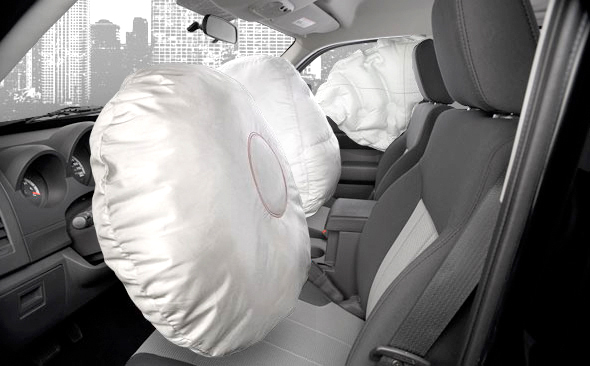 We can see an airbag as having the primary purpose to prevent the impact when an accident occurs and similarly we see the primary purpose of regression tests to find defects when they occur (prevent the impact from users). However analogies are tricky at times and extending all other types of tests to an airbag didn't feel quite right the more I thought about it. I tend to see testing activities as more of a way to find information (preferably new) for the project rather than it having the primary purpose of finding defects. Similarly you could extend the analogies for other types of test activities (for example: exploratory testing) as instruments on the dashboard. Primarily there to give you information about the car: Speed, rpm, oil levels etc. And also when looking at the information that you're given you it might be a bug under the given context. Going 80 Mph in a context where we are driving through a 70Mph zone is a bug. But if the context is different and say that we are driving in a 80 Mph zone, then it is not a bug. And thus in my context where I treat most test activities as a way to gather more information about the software for the project, and not as a way to find bugs primarily (but as a nice secondary effect), I don't think that the statement above holds true. But... in another persons context where the sole purpose of testing is finding bugs (preventing accidents) then the statement above can hold true. And so we have arrived at the classic test answer: "It depends on your context"